Childwall L16 After Builders Cleaners Commercial & Residential | Quality Property Care Ltd.
Get decent residential and commercial after builders cleaning assistance ASAP! Get in touch with us on 0151 673 0008 phone number. Contact our kind customer support representatives and organise a visit by our experts for professional after builders cleaning! The other benefits of using the expert service for cleaning after builders, include the fact that you can immediately start living or working in the renovated office, premises or home, right after the refurbishment has finished, and the cleaning team has performed a deep clean. Plus, the contract construction clean-up service ensures that the air in your office or home is free of dirt and other harmful airborne particles which can cause breathing and eye irritations, allergies, asthma attacks and other problems. The professional cleaning company Quality Property Care Ltd. offers a complete top to bottom builders clean, which can be performed as soon as the builders are finished with the refurbishments. The after builders cleans can be done on the bank holidays, in the night, on the weekend, or when you are not home, for your convenience. Every sent team of after builders cleaners is composed of hygiene experts with special skills, good and proper education for the rich and purpose experience. All of the Quality Property Care Ltd. after builders cleaners in Childwall L16 are vetted and insured. Your house is at safe hands. If you want to, you can leave some special instructions or requirements to our kind professionals. Keep in mind that you don`t have to move any furniture or to provide us some cleaning liquids. We have the right post-renovation cleaning strategy and equipment to do the purge as soon and efficiently as possible! This is an after renovation cleaning service which focuses on removing hard to extract stains from carpets, like heavy construction dust, paint and even plaster. All of our procedures are done with harmless liquids which protect and empower the fibers of your rugs or carpet. 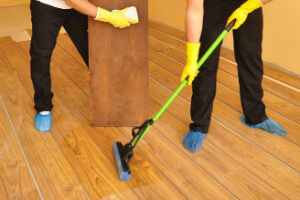 We also have a comprehensive cleaning for the full property including wall washing, pressure washing, steam leaning, tile rubbing, window cleaning, hard floor cleaning, upholstery and carpet cleaning, driveway and patio cleaning, wood floor polishing, rubbish removal, night cleaning. This is the ideal after construction or renovation cleaning service for people who simply want to get their life on track and want a fast and efficient cleaning job. Indoor windows cleaning, including window frames and window sills and removing any plaster stains and debris paint. Even same day service can be booked, if you are in a hurry. The after builders cleaning service is an hourly based service, so the price depends on the volume of the cleaning which needs to be done. You can easily book your after builders cleaning right away. Just makes sure that the builders are completely done with the work and call 0151 673 0008 or send an online booking form, and you will receive a written booking confirmation pretty soon.